Inspiring A Generation participants; Tristan, Lereko, Clara and me during our exchange leg with Ere de Jeu, a French festival, in Paris. 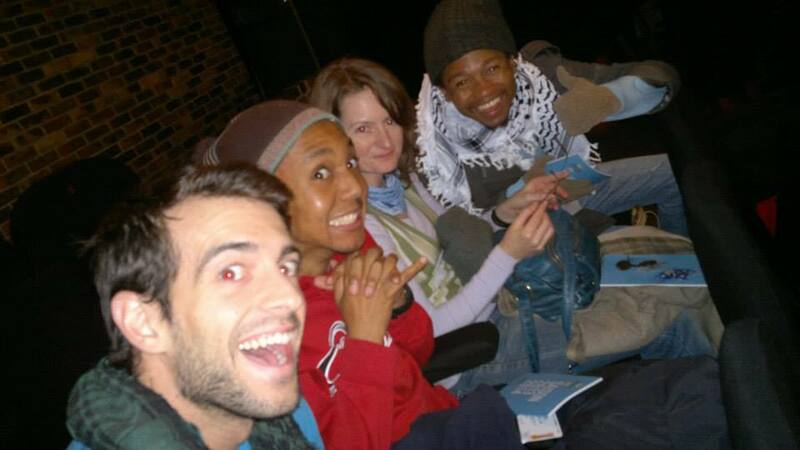 In 2013, I was selected to participate in ASSITEJ SA’s Inspiring A Generation programme, which gives four-five emerging artists a year-long mentorship to create a new theatre production for young audiences. The 2013 focus was especially on teenagers. We were tasked with creating a new writing that would specifically, or primarily, address a teenage audience. My response to the theme was to create a piece of work with teenagers, rather than for teenagers. As a result, I collaborated with the National School Of the Arts and their grade 11 class. Through a workshop process, I worked with 30something learners to hear what stories they wanted to tell, stage and perform themselves. Out of these discussions, emerged five, new rich narratives conceived by young people, and for young people. These were exciting, fresh and cutting-edge voices that I found all needed to be told. It was important at this stage to give them freedom; a creative, safe yet playful space which allowed them to grow their ideas without interference. All 5 of them were devised, rehearsed and performed as part of their final year mark at the end of 2013. And the result was absolutely mind-blowing. It was refreshing to see the fire and passion in the learners, and their commitment to the craft, and most importantly, their own voices. After the performances, my task was to select one story and develop it further for a professional staging. Sadly, this meant that we couldn’t develop all of them as feature length plays, something I would’ve loved to do, but not feasible. In the end, I was torn between which of the 5 stories would go home with me; it seemed so near impossible to do that in the final, final end, I picked two stories; How To Create The Perfect Woman and Pondoland. Two very different stories, yet equally significant, thought-provoking and gripping in its own right. With them, my new journey began. 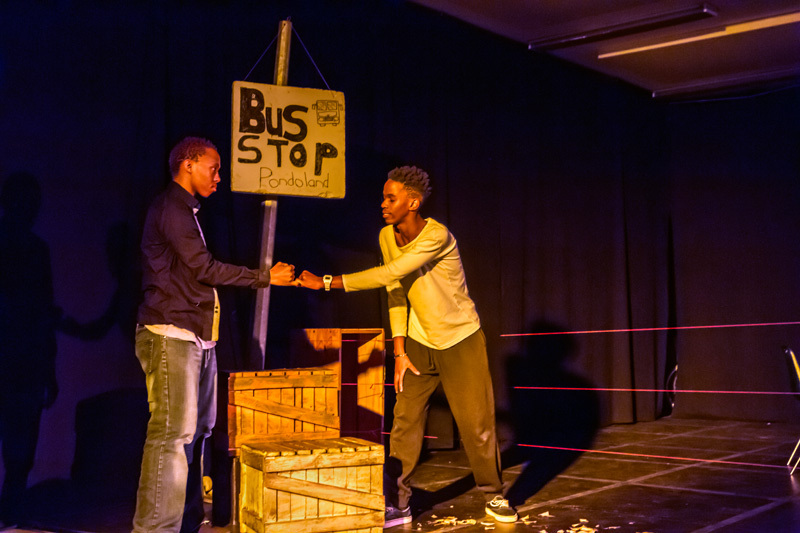 The boy, (played by Omogolo and Vusi, his lover, (played by Lebohang) make a promise to each other before he is taken to the mountain. 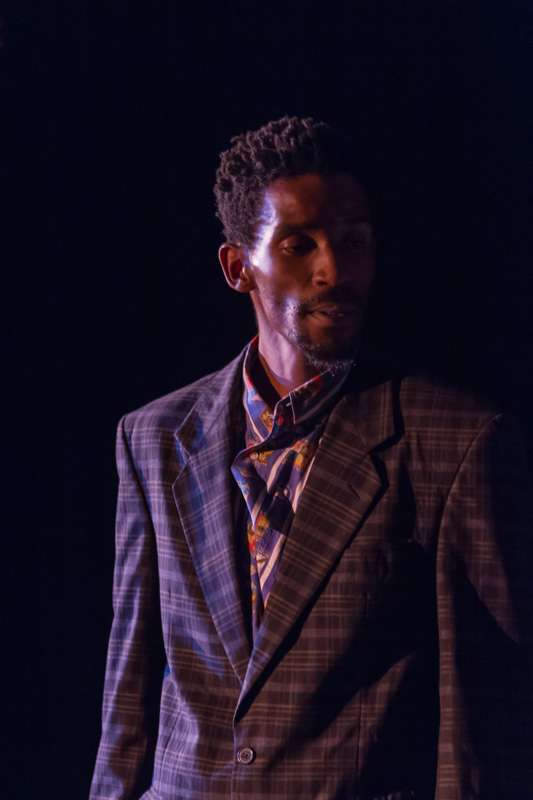 Pondoland was about the coming of age: a father questions his son’s sexuality. To groom the ‘boy’ into a ‘real’ man, he sends him to the mountains against his will, but what comes back is far more than he bargained for. This was a response to the current situation in Pondoland where young people are dying and some are losing a part or their entire penises in the mountains. For a full picture of this, please read this article: The boys who lost their manhood. I felt this was a critical voice that needed to be heard, and so we staged it as part of the Festival Of Fame which took place between 25 February and 2 March, 2014. Though this was small, I think it was brave for the learners to approach such a heavy topic and the results, like in the play, was more than what we expected. Something extraordinary happened, something I didn’t anticipate in the slightest. To find out what it was, read this review by Mail and Guardian; A play gives initiates who lost their manhood a voice. And for me, it was important it came from young people; a ‘critical’ voice emerged in that classroom, and I think we ought to do well to make sure it stays alive and active. (I will post a separate page about this, please look out for it for more details). Alongside Pondoland, I was also developing The Perfect Woman, which takes on totally different politics, or maybe not, depending on where you are coming from. This was a story set in the future, 100-200 years from now; looking at the interface between the human body and technology. In my previous work, I have had a strong focus on how the past influences who we are today, and shapes our future. But never, have I ever, looked at how the future can have an inverse or reversal implications as well. So, for me, it was exciting to escape my usual politics and ‘escape’ the past to ponder what the future so far ahead, a time I could never and will never live, would look like. Where are we going to be in that world, if we’re even there. What are we going to be doing? What will the world even look like physically/environmentally, political, socially, creatively, etc? But most important, how far would technology have advanced? But at the heart of it, this is anchored in a reality only so close and familiar to all of us, the gender politics, especially the undertones of the ‘control’ the patriarchal system has subjugated the image, role and function of women in society. The image is depicted as doll-like character. In the 21st century, you need not look any further than popular media to see how in our everyday interactions and portrayals, the body and image of a woman has been overly sexualised and defined by it’s relation to the man, and still largely denied a place of its own. If technology is advancing, could it help us cure this problem, or only make it worse? I thought this was a fascinating dialogue to discover in a Grade 11 class, and definitely one that is worth engaging in critically about how we are shaping and being shaped by the technology. Young people’s lives are immersed in the technological age, it is what they do everyday, but very few I have encountered demonstrates this reflexive thinking about how it is shaping, and re-shaping their lives. So I’m very proud that the work will finally have a public stage reading at AGOR DRYSAU-OPENING DOORS Wales International Festival of Performing Arts for Young Audiences here in Aberystwyth. I’m particularly pleased that the Artistic Director of Arad Goch, Jeremy Turner, will direct the reading with some of the local professional actors and performing arts students. As a work-in-progress, I’ve no doubt seeing that the work public on stage will be a fruitful process; a chance to ‘test’ it and see if it works, and where it might still need to be improved. The reading will take place on the 2nd March 2014, 3:30pm at Arad Goch Theatre, Aberystwyth. If you happen to be around or nearby, please pop in. I’d love to hear your feedback. This is all for now. Do stay tuned for more updates. If you’d like to get involved, in any way, please don’t hesitate to contact me. I’m always looking for the opportunity to collaborate with other artists, theatres or producers who might be interested in my work.